When someone dies leaving an IRA or 401(k), must the money be used to pay their bills? If your loved one has recently died and they owned these types of retirement accounts, you'll benefit from understanding the rules. The quick and easy answer is that it depends on whether the account had a designated beneficiary, someone other than the decedent's estate, at the time of their death. An IRA or 401(k) has a designated beneficiary if the decedent completed a beneficiary designation form for the account prior to their death. If at least one of these designated beneficiaries survives the decedent, the retirement account will pass directly to that person outside of probate. It avoids the reach of the decedent's creditors because part of the probate process involves using estate assets to satisfy the decedent's debts. If the IRA or 401(k) doesn't become part of the estate, it cannot be used to pay the decedent's final bills. 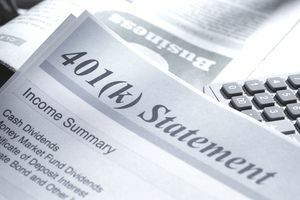 The IRA or 401(k) will pass directly to the decedent's heirs-at-law outside probate pursuant to the terms of the IRA or 401(k) custodian's payment policies. If this happens, the IRA or 401(k) won't be used to pay the decedent's final bills. Heirs-at-law are individuals who are so closely related to the decedent, they would be entitled to inherit from them in the absence of a will. If the decedent failed to complete a beneficiary designation form, the same two scenarios can happen. Either the IRA or 401(k) will pass into the decedent's probate estate and be available for paying the decedent's final bills, or the IRA or 401(k) will pass directly to the decedent's heirs-at-law, safe from the hands of creditors. There's no guesswork involved here. The retirement accounts would go into the decedent's estate for eventual transfer to their estate's beneficiaries, those named in their will to receive their property. But these beneficiaries can only inherit what is left over after the decedent's final bills, taxes and expenses of operating the estate are all paid. The retirement funds would be used to pay these bills and expenses unless the estate contains adequate cash to otherwise satisfy the debts, such as if the deceased had a life insurance policy with proceeds payable to their estate for just this purpose. Some complicated tax laws pertain to inherited ERISA-qualified retirement assets, however, so it's likely the executor or personal representative of the estate would first sell other property if estate assets must be liquidated to meet these obligations. NOTE: Laws change frequently and this information may not reflect recent changes. Please consult with an attorney for current legal advice. The information contained in this article is not legal advice and is not a substitute for legal advice.